Description: A serene atmosphere fills every aspect of this painting. 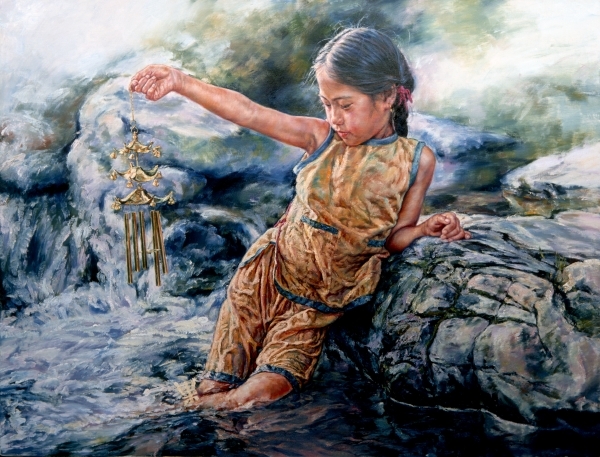 The girl stands knee-deep in the gently moving water. Leaning against a rock, she stretches out her arm and holds the wind chime over the rushing water. She gently swings her hand a little to make the chimes tinkle and ring. Her expression tells us she's completely relaxed, and thoroughly enjoying this moment.